Sometimes I really want to explore the depth of my cooking skills and do something that I’ve only made a few times and really experiment with it. I did that this weekend by making Chicken Tikka Masala. 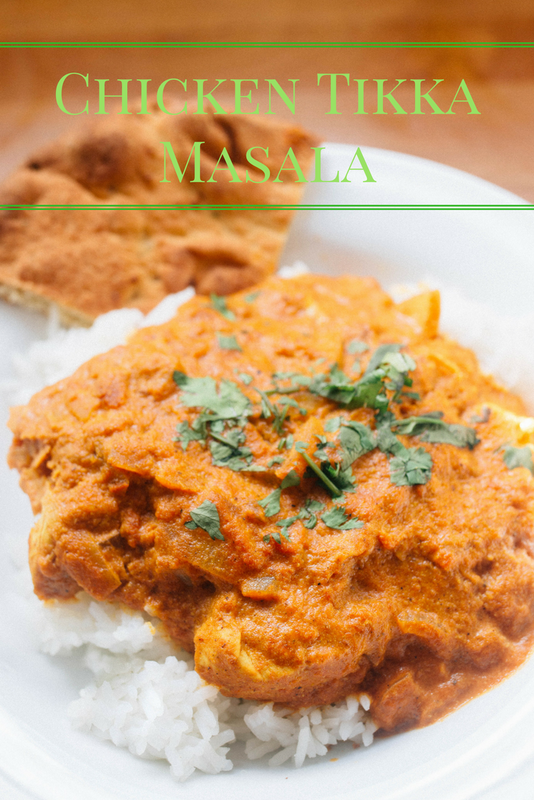 This dish is a super popular Indian dish and I don’t make Indian food very often. Don’t get me wrong, I love Indian food, the plethora of spices that they use, how the flavors meld together so perfectly on your tongue, the textures, everything comes together so perfectly to make a dish unlike pretty much any other. I am drooling now just thinking about it. This masala is pretty easy to make, the most important part is marinating the chicken for about an hour so that the flavors can seep in and really immerse the dish. Then you just pan sear the chicken and make the sauce on top of it and serve it with rice. I ate like 3 servings of it, that’s how much I loved this dish. The sauce is easy to make as well, it’s just a combination of a few spices, crushed tomatoes, and heavy cream to give it a little more depth. So easy. So tasty. Wow. This is a great weekday meal because you can start the marinade in the morning before you leave for you day and then come home, cook it up, and serve it in under 30 minutes. I streamed this meal too, so if you want to check out me making it, head over to http://twitch.tv/momnomstv and click on the videos section. I’ll walk you through the whole things. Want to know what the schedule looks like this week? Here’s what we are making on stream and for the blog posts! If there is anything that you want to see, just message me and let me know! I will fit you in!